Targeting a resume towards a specific market or job can significantly increase the effectiveness of providing a professional resume service. 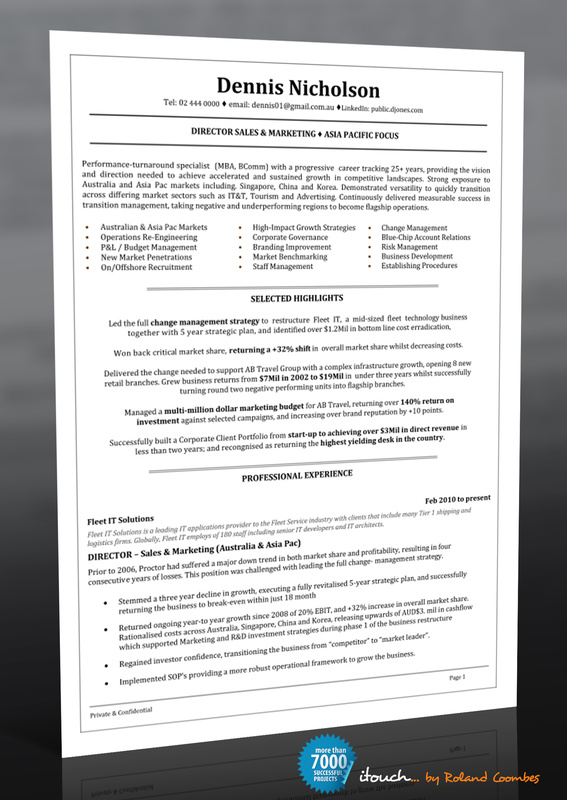 Although we do our best provide a resume that can be used across a number of layers and verticals, in our opinion a resume that has a specific purpose in mind helps to produce a much more effective document. If you are unsure about your market, the first strategy to implement is research. Go on to job websites such as www.seek.com.au and see if you can identify jobs that suit your background and are plentiful. You can always approach niche markets, and sometimes you will have a niche background, but for the mainstream is often better to find a broad selection of roles from which you believe a warranted application can be made. Alternatively, you can seek the advice of a recruitment agency. This can be easier said than done especially given how difficult it is sometimes to get through to the recruiter, but when you do, seeking practical advice on how your background relates to your particular markets can offer fantastic insight. As resume writers, also have extensive exposure within the recruitment market and can often help you with this process. It is in both ours and your best interest that we identify with the markets and the targets prior to commencing on a project. itouch resume services, experts in resume services and curriculum vitae (CV) writing Sydney, Melbourne, Brisbane, Perth, Canberra and nationally.